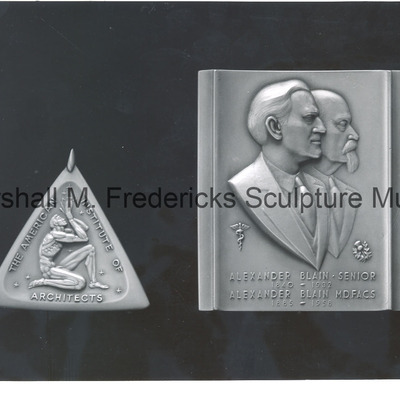 "American Institute of Architects Craftsmanship Medal" minted in bronze and gold. Inscription on the face reads "The American Institute of Architects," with bas-relief of male figure holding urn and looking upward. The medal was created for a new category of awards established in 1960.